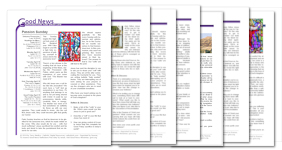 A printable e-book of lectionary-based Lenten Reflections for Cycle C. It comes with faith-sharing discussion questions that are designed to deepen personal relationships with Christ. Covers Ash Wednesday, the 5 Sundays of Lent, Palm Sunday, Holy Thursday, Good Friday, and Easter Sunday. Each page of Lenten Reflections includes an editable form field (text boxes) for readers or group leaders to add comments, prayers, etc. 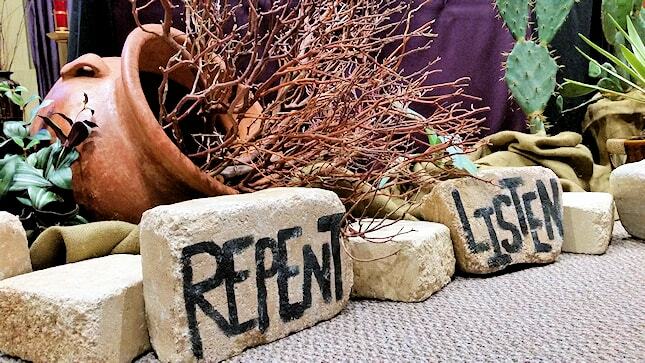 A printable e-book of lectionary-based Lenten Reflections for Cycle A. It comes with faith-sharing discussion questions that are designed to deepen personal relationships with Christ. 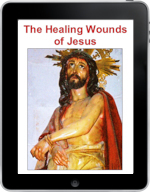 Includes suggested Lenten activities as follow-up actions related to the topic of discussion. Covers Ash Wednesday, the 5 Sundays of Lent, Palm Sunday, Holy Thursday, Good Friday, and Easter Sunday. 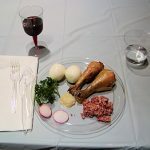 Everything you need to plan and hold a Seder in your parish to show the roots of the Catholic Mass in our Jewish heritage. Is There Someone Who’s Unpleasant to Serve? Good Friday: What did Jesus do for you? May be used multiple years but only in one church, performed by your own parishioners. Hand-out for Parish Penance Services, RCIA, youth retreats, Confirmation retreats, Christ Renews His Parish, Cursillo, Emmaus, etc.